First lady Melania Trump has not been seen in public since May 10. The 48-year-old first lady has not been seen in public since May 10, when she and the president welcomed home three American detainees from North Korea. This weekend, she did not travel to Camp David, the secluded presidential retreat located an hour outside Washington, with the president and Trump family members including Tiffany, Don Jr., Ivanka and Jared Kushner. On May 14, the White House announced that Melania Trump underwent a medical procedure to treat a benign kidney condition. She remained at Walter Reed Medical Center until May 19. (Angelo Carconi/EPA via Shutterstock) President Donald Trump and first lady Melania Trump arrive at the Greek Theater to attend a concert, on the sideline of the G7 Summit in Taormina, Sicily island, Italy, May 26, 2017. While the first lady is known for being private, Sunday marks the 24th day she has not been seen in public. Melania Trump's absence -- particularly at recent White House events where the first lady traditionally participates, like the Medal of Honor ceremony or the Memorial Day wreath laying at Arlington National Cemetery -- has not gone unnoticed by the public and has sparked wild conspiracy theories about her whereabouts. Last week, as questions swirled about the state of her health and the hashtag #whereisMelania trended online, she tweeted that she was "feeling great" and "working hard on behalf of children and the American people." Stephanie Grisham, the first lady's director of communications, told ABC News last Wednesday she was "doing really well." "She's been involved in several internal meetings with staff all last week, and that continues this week. We've been going over initiatives and other long-term planning for events such as the congressional picnic and Fourth of July," Grisham said. 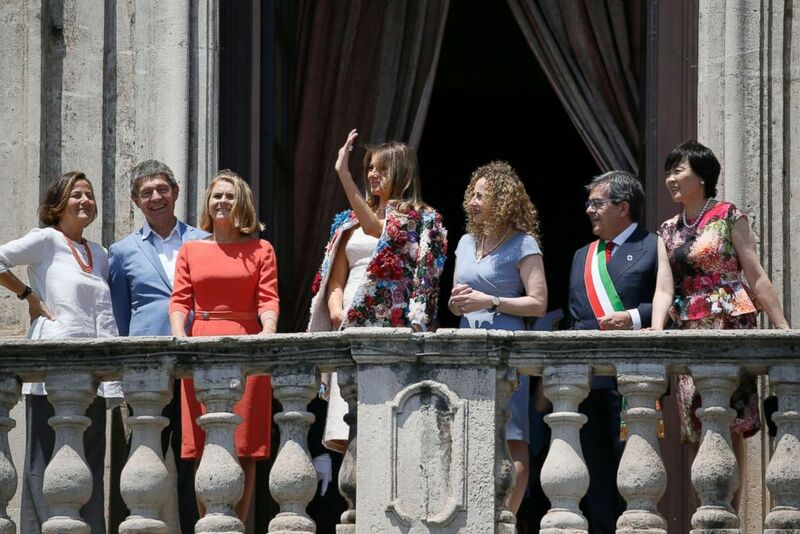 (Domenico Stinellis/AP, FILE) First lady Melania Trump, center, waves as she stands with; from left, spouse of Italian Premier Paolo Gentiloni Emanuela Mauro, spouse of German Chancellor Angela Merkel Joachim Sauer, spouse of European Council President Donald Tusk Malgorzata Tusk, Amanda Succi, partner of the mayor of Catania Enzo Bianco, Mayor Bianco and spouse of Japanese Prime Minister Shinzo Abe Akie Abe, on the balcony of Chierici Palace, part of a visit of the G7 first ladies in Catania, Italy, May 26, 2017. Before her hospitalization, the first lady unveiled "Be Best," her official platform aimed at teaching children the importance of healthy living and responsible social media use, in a Rose Garden ceremony. "I feel strongly that as adults, we can and should be best at educating our children about the importance of a healthy and balanced life,” the first lady said. 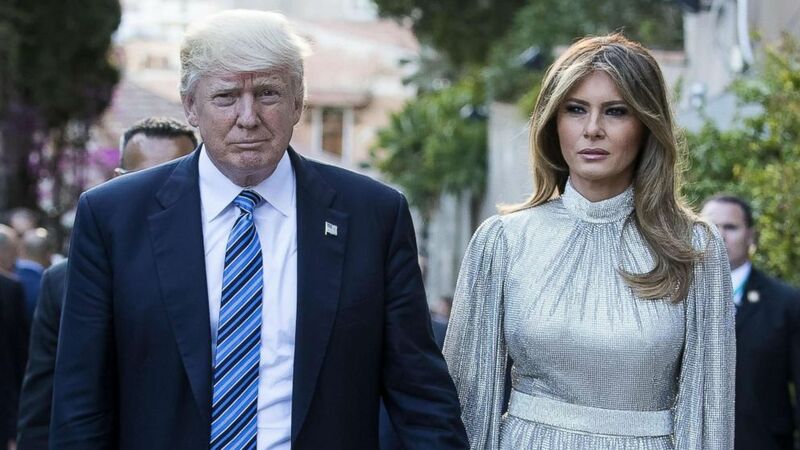 Last year, Melania Trump made her international debut when she joined the president for his first G7 trip to Taormina, Italy, where she participated in public appearances with the spouses of other G7 leaders. She had a formal dinner and took in a performance by La Scala Philharmonic Orchestra at the Ancient Theatre of Taormina. 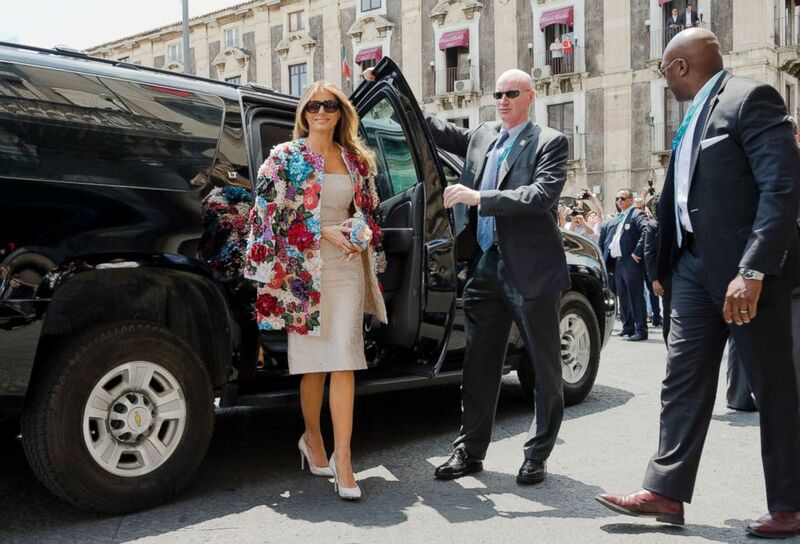 (Domenico Stinellis/AP, FILE) First lady Melania Trump arrives at the City Hall, Palazzo degli Elefanti, in the Sicilian town of Catania, Italy, May 26, 2017. During the trip, the first lady made an international splash for her glamorous fashion choices, such as a $51,000 Dolce & Gabbana jacket and a glittering silver dress and shoes. She has also accompanied the president on visits as far away as Saudi Arabia, France, Japan and China. The two-day G7 summit in Quebec begins June 8.